South African Beauty Bloggers have never been formally recognised for their important role in helping to educate South African consumers on the new products that are available on the market, as well as their pro’s and cons, based on their personal experiences with using them. After the success of the Irish Beauty Blog Awards run by Noelle O’connor, the creator of TanOrganic, which not only acknowledged top bloggers and created awareness around leading beauty brands but also raised awareness and much needed funds for cancer education for the Irish Breast Cancer Foundation, TanOrganic South Africa took the decision to launch the awards. “The awards are aimed at recognising the importance of blogging in the evolving digital landscape and acknowledging the skills, effort and commitment that go into creating an influential blog. The awards are aimed at recognising not only cosmetic bloggers, but Lifestyle, Fashion and Male Grooming bloggers are included in the list of categories”, says Greg Gunner, Executive Director TanOrganic South Africa. TanOrganic, which is still a predominantly online Organic self-tanning brand imported from Ireland, has experienced first hand how influential bloggers are in creating brand awareness. TanOrganic is proud to be the title sponsor of the 2015 Beauty Blogger Awards, from which proceeds go towards the Look Good Feel Better South Africa programme. The Look Good Feel Better programme is run by the cosmetic industry to help female cancer patients undergoing active treatment, in a practical and positive way by providing free two-hour beauty workshops through a network of hospitals, oncology clinics and interim homes, especially designed to assist these women to manage the appearance related side effects of chemotherapy & radiotherapy – thereby helping to restore their confidence in their appearance & self image. The programme was chosen as the charity for the Beauty Blog Awards owing to their innovative way of educating patients, their families and medical staff on what side effects to expect and easy ways to be proactive about them. 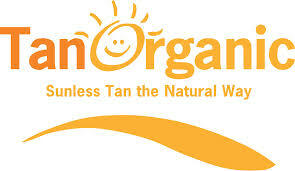 TanOrganic supports cancer education and promotes a lifestyle of avoiding sun damage that can lead to cancer. TanOrganic in support of The Look Good Feel Better programme and by means of the Beauty Blog Awards encourages all South Africans to actively educate themselves on the subject of cancer, in case of being diagnosed or having to support a family member that has been diagnosed. The Beauty Blog awards ceremony will be held on 22 August in Rivonia, Johannesburg.